Feel the power of your well connected business. Custom Cabling Services is a full-service Communication Infrastructure Provider with the resources to design, implement & maintain structured cabling systems. From facility analysis & engineering to installation & maintenance, our experts offer needs and risk assessment services that will improve your communications and keep you on top of industry advancements. 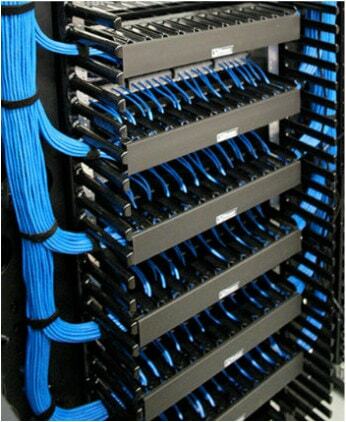 We are structured cabling experts. Business networks and telecommunications simply do not exist without cabling. Cables within networks are like the veins throughout the body, they are entirely essential to survival; and just like the body, there is a certain level of examination vital to maintaining health. Regular maintenance checkups can save you heartache in the long run. You shouldn’t take a chance with your health and you shouldn’t take a chance with the health of your network. When you need your network & cabling systems to perform, you want assurance that it’s in the best shape possible; Custom Cabling Services provides structured cabling services with care and expertise. There is a considerable level of complexity that arises within business networks and without the proper methodology, it’s easy to get tangled. We don’t need to explain the level of frustration and confusion that arises when dealing with a tangled web of wires. Remember the last time you tried to untangle those Christmas lights left in the attic? The tangled mess is also catastrophic when troubleshooting an issue in your cabling system. It can take hours just to locate the source of the problem. Therein lies the benefit of Structured Cabling: Saving time, money and aggravation. 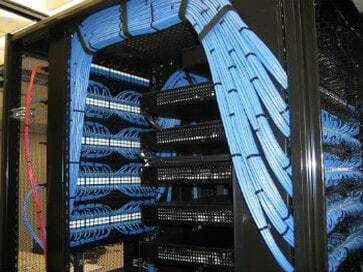 It is the design and installation of a cabling system that will support and connect multiple hardware systems/devices. The “structure” or architecture of the network cabling for your desktops, servers, phone systems and additional management systems such as security alarms and surveillance cameras. These main components are structured and organized into smaller sub-sets, these sub-systems of implementation, are a “structured” methodology for cabling infrastructure that establishes a consistent organization throughout the entire construction. What does all that mean? It means we face-off against the chaos, ultimately taming the beast that is your business network and produce a solid framework with which to upgrade and maintain a high-quality service. ✔︎ Entrance facilities: The origin of the telephone company/Internet Service Provider network and it’s connection to the on-premises wiring. The connection to the outside world and vice versa. ✔︎ Equipment rooms: The point of consolidation for all equipment wiring. Could be a large room, or a small closet. This is generally rackmounts housing switches and servers. The heart of the building, where all the veins branch out to bring forth precious data juice to the rest of the extremities. Optimized organization is a key component to efficient and reliable technology here, not to mention troubleshooting. ✔︎ Backbone cabling: The connection between the equipment rooms, telecommunications rooms, main terminal space, and entrance facilities. The backbone is the spine of your business network, the rest of the body can’t really exist without the spine; the spine creates the connection for your central nervous system and it transmits the signals from your brain to the rest of the body – the backbone is essentially the same and you can think of it as holding the same level of importance. ✔︎ Horizontal cabling: Inside wiring or plenum cabling – connecting the telecommunications rooms to individual outlets or work areas; usually through conduits or ceiling spaces of each floor. Keeping your cabling out of sight, out of mind and out of harm’s way! ✔︎ Telecommunications rooms: or enclosure connections between the backbone cabling and horizontal cabling. ✔︎ Work area components: The connection of end-user equipment to the outlets of the horizontal cabling system. This is where the importance of structured cabling becomes evident to your employees; a neat and orderly work area promotes efficiency. Tripping over wires promotes lawsuits.